We found Green Building Store’s MVHR department to be very helpful to work with. We also liked Green Building Store’s preference for rigid steel MVHR ducting as a more robust ducting option. 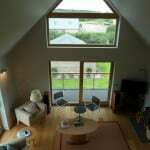 We have been very pleased with the MVHR heat recovery ventilation. Beforehand we had been worried about potential noise issues, but the system is very quiet. It is also very straightforward to work – we don’t really have to do anything to it, we just change the filters and leave the setting on 2. 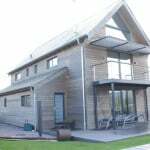 The Den is a newbuild timber frame detached house, the first certified Passivhaus in Dorset, designed by Conker Conservation and built for clients Dennis & Nicola Merrigan. 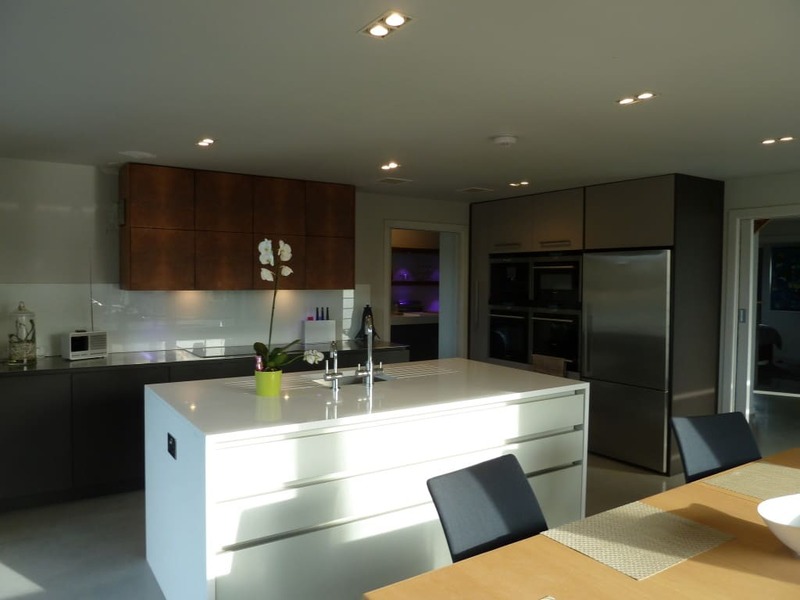 As a chartered surveyor and experienced building professional, Dennis undertook the construction of the home himself, he now is Director of MINT Construction Services Ltd which has a particular interest in working with clients looking to build to Passivhaus standards. 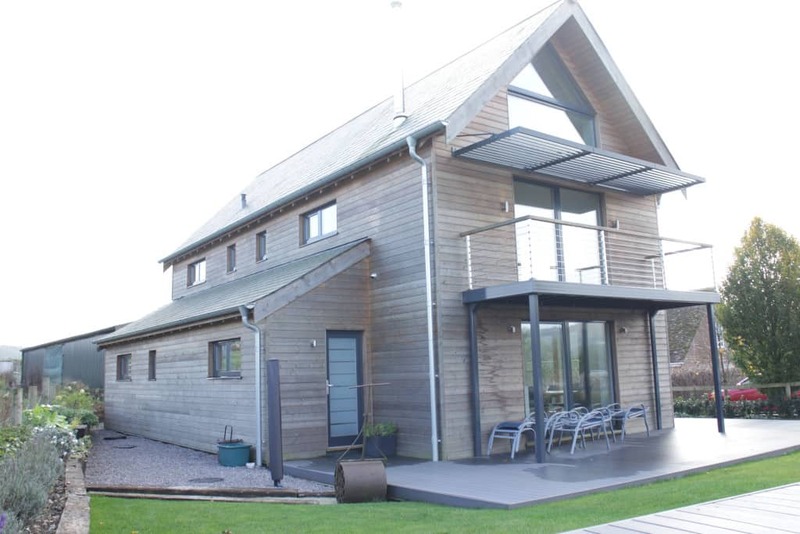 Green Building Store designed, supplied and commissioned the MVHR heat recovery ventilation system at the project. 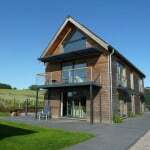 The timber frame building’s roof and walls are insulated with recycled cellulose fibre. 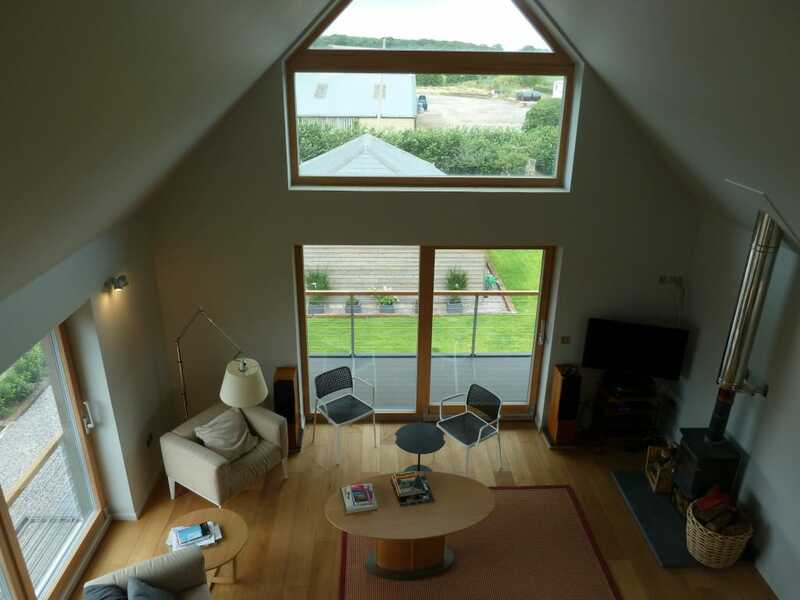 Triple glazed windows and rooflights are used throughout and an external layer of wood fibre insulation overlaps all windows and doors to minimise thermal bridging. 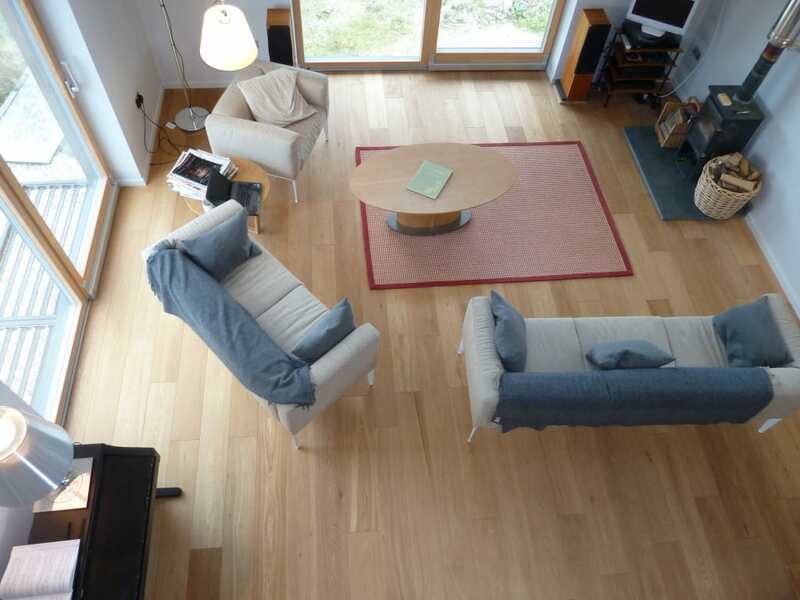 The house has a floor area of 158.6m2 and has a space heating demand of 12 kWh/m2/year. 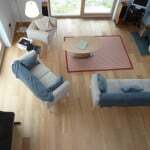 The only space heating source is a Passivhaus suitable wood burning stove with electric water heating. 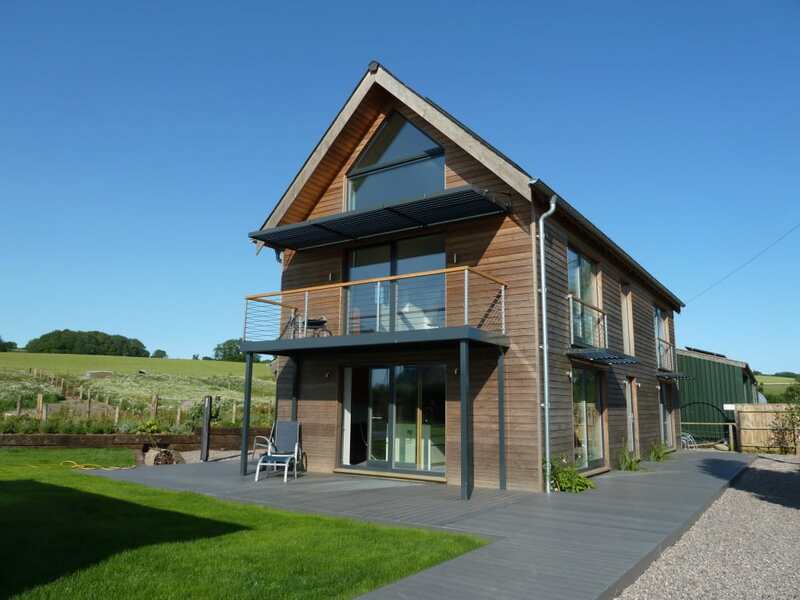 A PAUL Novus 300 MVHR heat recovery ventilation system, designed by Green Building Store’s MVHR design service, was specified for the project, on the recommendation of Conker Conservation. 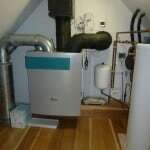 Dennis Merrigan commented: “We found Green Building Store’s MVHR department to be very helpful to work with. 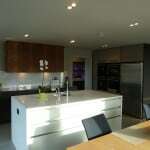 We also liked Green Building Store’s preference for rigid steel MVHR ducting as a more robust ducting option”. The system has now been in operation and use for over 2 years. 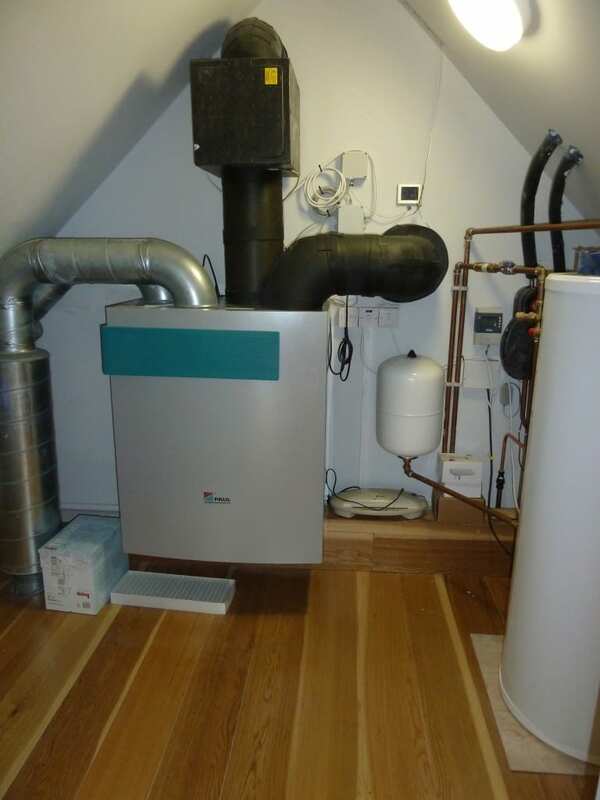 Dennis Merrigan commented: “We have been very pleased with the MVHR heat recovery ventilation. Beforehand we had been worried about potential noise issues, but the system is very quiet . It is also very straightforward to work – we don’t really have to do anything to it, we just change the filters and leave the setting on 2”.